This video walks users through the options for building, using, and managing a custom calculation formula as part of the Formulate workflow. I found creating new formulas very easy with new interface in Pyramid 2018. I just need one clarification. How can you create dynamic formula, like the one below? And with this formula I would like on my discovery that is calculated based on dimension that I am using. Currently as I have seen, when you create formula, you have to specify also the dimension. This is not something that I would prefer. This is specifically a function that you can implement in the Data discovery itself and not only from the Formulate section. 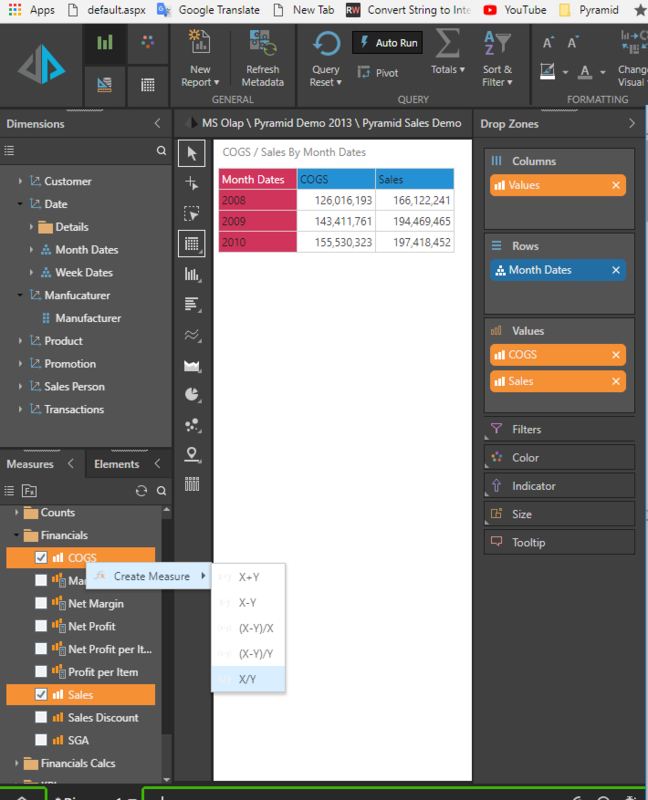 In the data discovery, select the 2 Measures and click the right mouse key to select "Create Measure" >"X/Y"
Save the formulation Custom member to your content (click the "Shareable" and save it in your private or Workgroup/public content), If you just click save it will save the formulation to the this Data discovery only. select the measures from the measure section then click the FX button and select the custom member. Finally you would se the grid containing the selected measure , you can the hierarchies to the Row/Columns/Filter drop zones and the custom member will change accordingly. The video is cool to create a custom measure! Could you show it or post some link that has this method? I think you're referring to custom sets. I used the attached Excel to demonstrate custom sets according to your data. I uploaded the file and created a simple model. 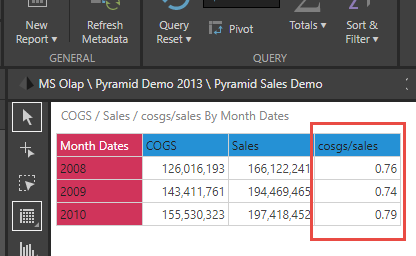 Then created 2 sets and used them in the query to count the occurrence of each age. I then added subtotals to see the count for each set. My record have Month and Program field, with total Hours spent. And then another bit field, which define if effort was productive or note. For each selection I would like to write (Sum of Productive Hours)/(Total Hours), based on the Month filter and grouped by Program. 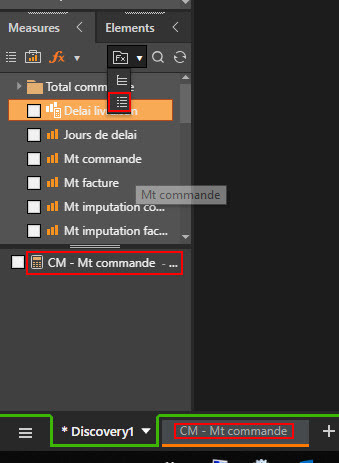 Hi, when I create a custom formula and I create a new discovery, the show business logic (Fx) folder is not in the measures panel. 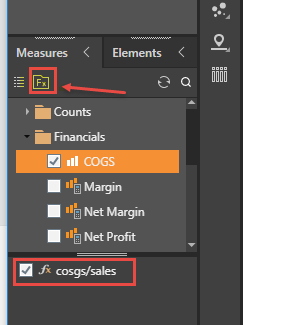 How do I get it there so I can access the custom measures/formulas? A general note: Knowing the version you are working on can help us answer better. For this case, my assumption is that your custom formula and report do not share the same data source. The 'Fx' folder should appear once they are both using the same data source.